I am just back from a busy 2.5 weeks in Tasmania. 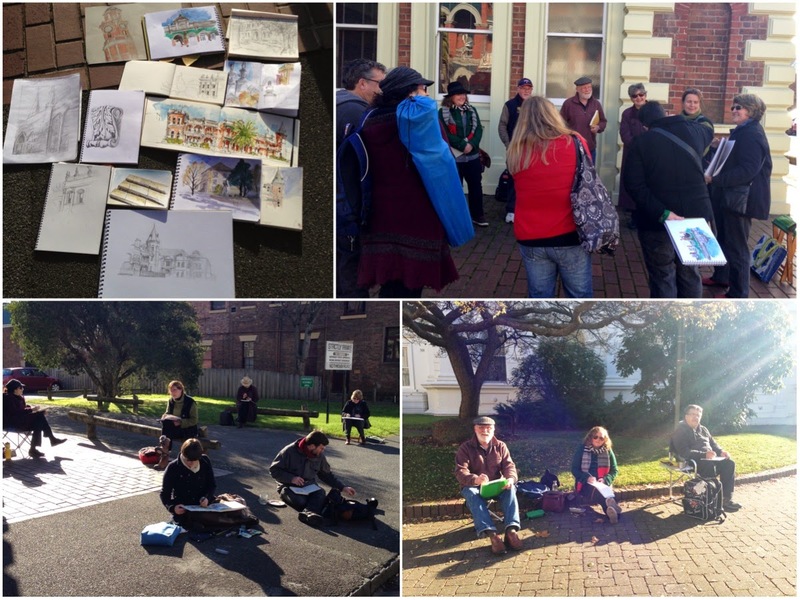 I had a number of workshops and talks on my agenda but finished my trip with an Urban Sketchers event on Monday in Launceston. It was a very fresh 3C morning when we meet up at 10am but it is surprising how pleasant it was in the sun - a stunning still winters Launceston day. We met up at the Brisbane St mall and then worked our way down Cameron St - ending up at the cafe in the Queen Victoria Art Gallery for lunch. It was a great morning - the variety of subject matter was broad and we had a rich selection of sketches to share at the end. Special thanks to Vicki D for helping in the organisation. 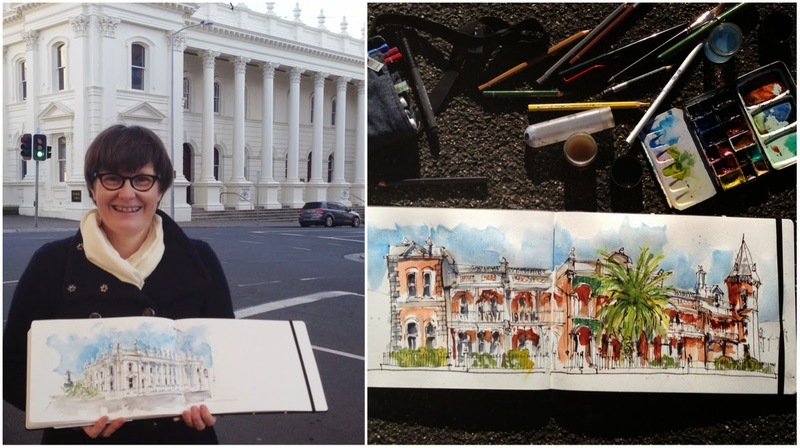 Here are two of my sketches during the morning - I often spend more time talking so it was a real treat to be able to sit down and sketch …and soak up the sun! 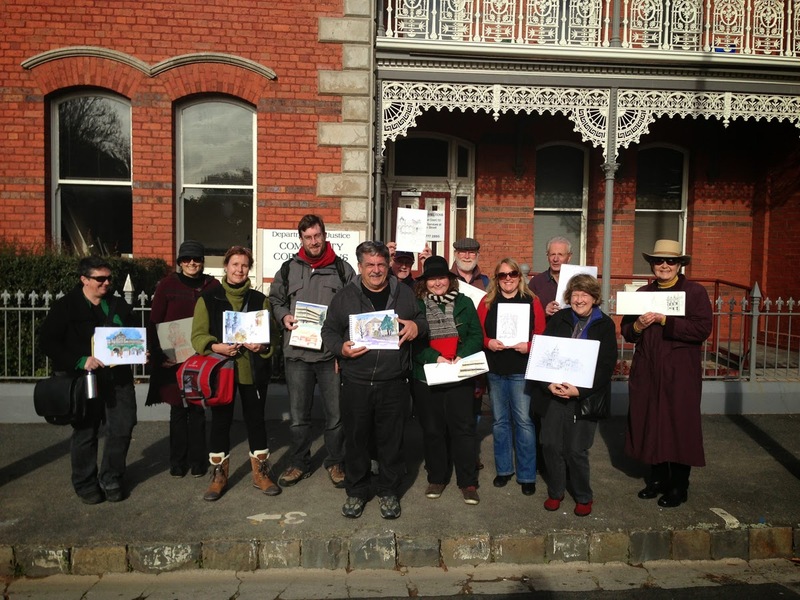 Really looking good for setting up a USK group in both "Lonnie" and Hobart! Now I just have to start all my scanning from my trip!